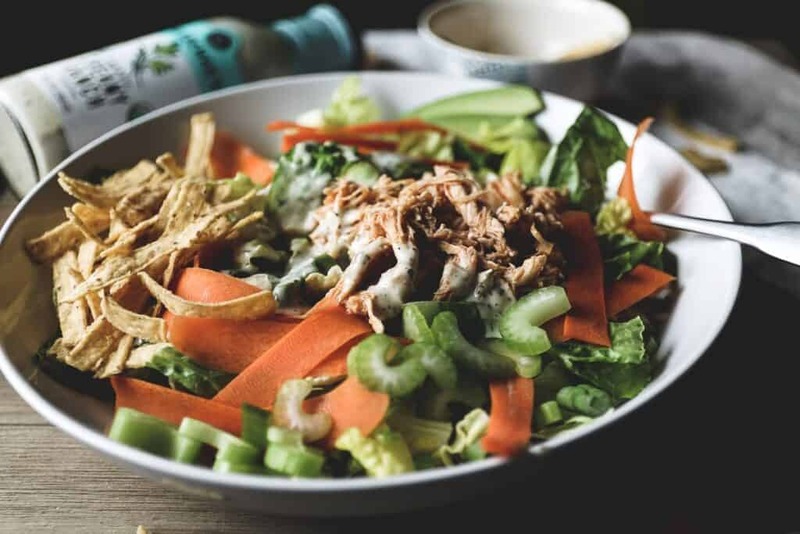 Buffalo Chicken Salad features spicy buffalo chicken on a crisp bed of romaine, with celery, carrots, and crunchy tortilla strips. Sure to satisfy your buffalo wing craving! Oh my, this Buffalo Chicken Salad, are you kidding me? This might just be a new favorite and let me tell you it’s really tough to beat that cilantro lime vinaigrette on a taco salad! 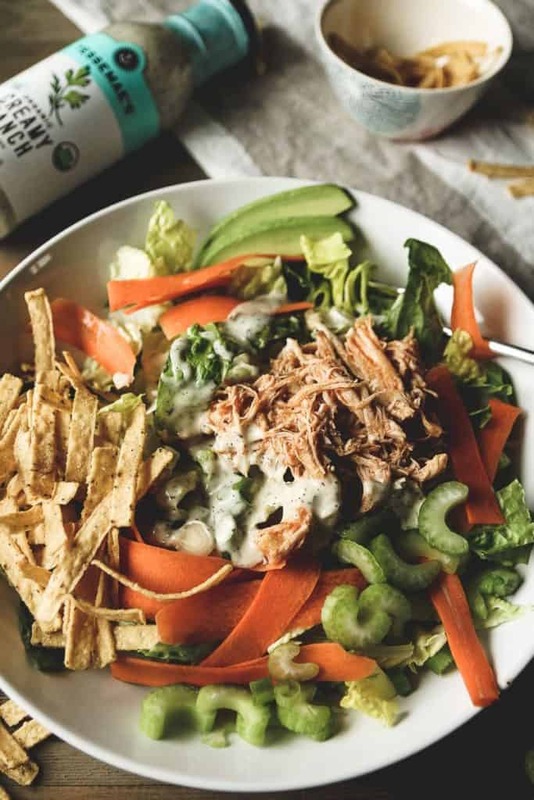 It hits all the right notes between the crunchy romaine and celery, crispy tortilla strips, spicy buffalo chicken, sweet carrots, and creamy ranch. My mouth is watering again just thinking about it. The first thing I did to make this buffalo chicken salad, was make the buffalo chicken. Which was so easy thanks to the instant pot. Although, you could also make it in a slow cooker. All you need to do is drop some chicken in the pot of your choice with some buffalo sauce, cook, and shred. 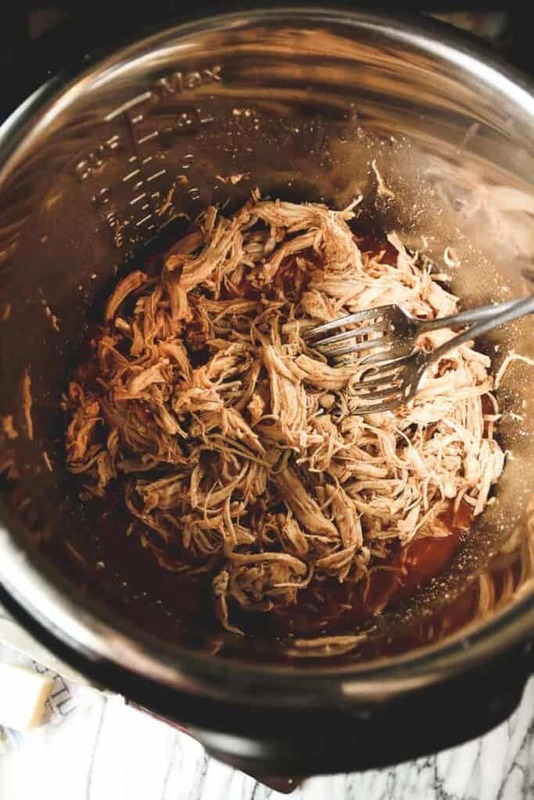 For the Slow Cooker: cook 2 hrs on high or 4 hours on low. Now, you’ll prep your salad ingredients. slice up green onion and celery. You could also slice up an avocado if you have it. 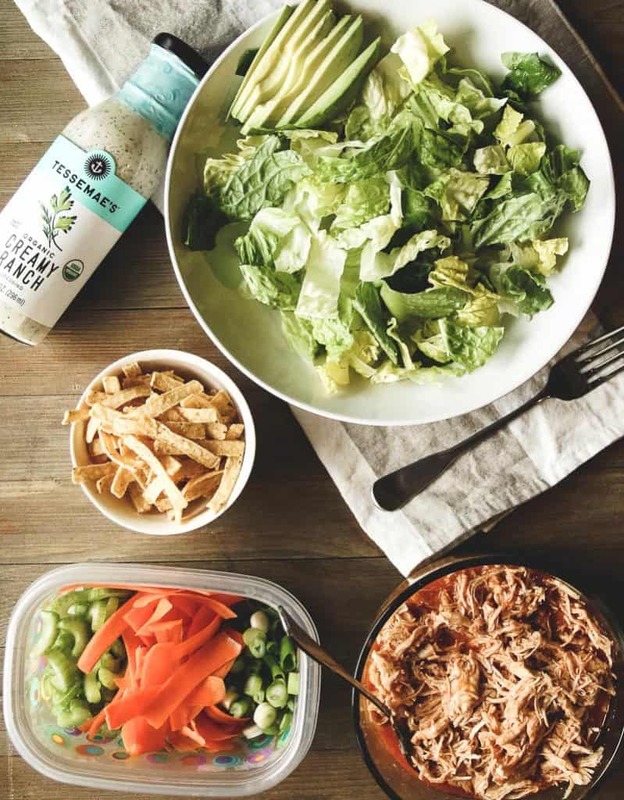 I found this Tessemae’s organic creamy ranch at the store and I really liked it. It’s dairy free but somehow creamy! Just use your favorite ranch or bleu cheese dressing. After that just pile it all in a bowl and chow down! 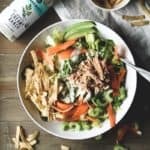 This Shredded Buffalo Chicken is so delicious, I often make it for uses other than this salad! 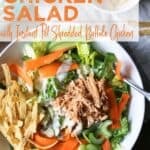 Easy Buffalo Chicken Salad with Instant Pot shredded Buffalo Chicken is the best, healthy salad to satisfy that buffalo craving! 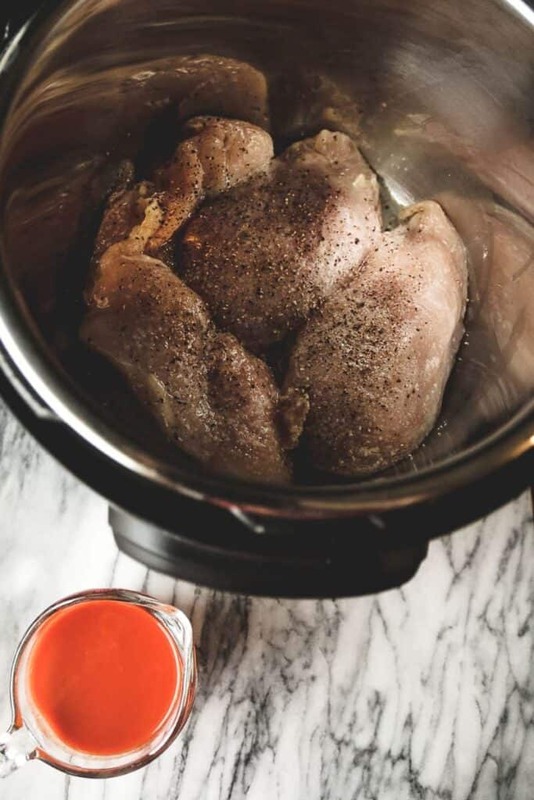 Place the chicken and buffalo sauce into the instant pot. Close the lid and sealing valve. Cook on Poultry or Manual (high) for 12-15 minutes. Allow the pressure to naturally release (NPR). Remove and shred the chicken with two forks. 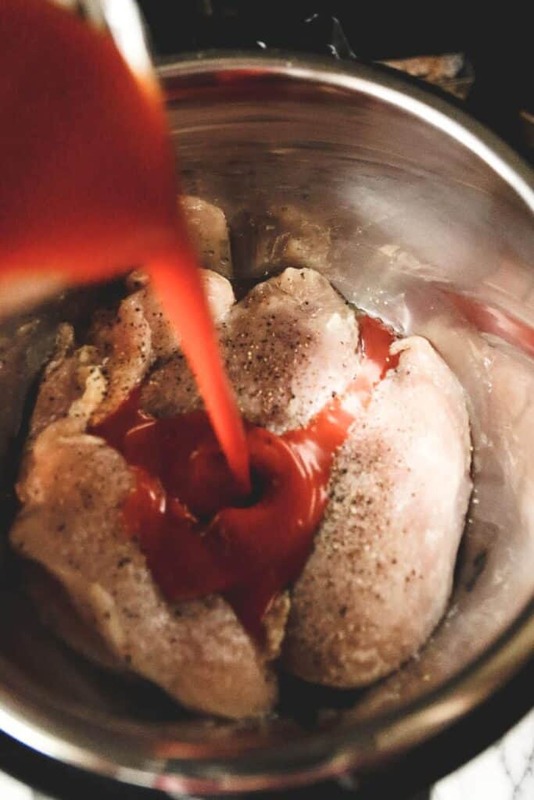 Place the chicken back into the pot along with the sauce. Set aside. Alternatively, place the chicken and buffalo wing sauce into the slow cooker and cook on low for 4 hrs. Remove and shred the chicken. 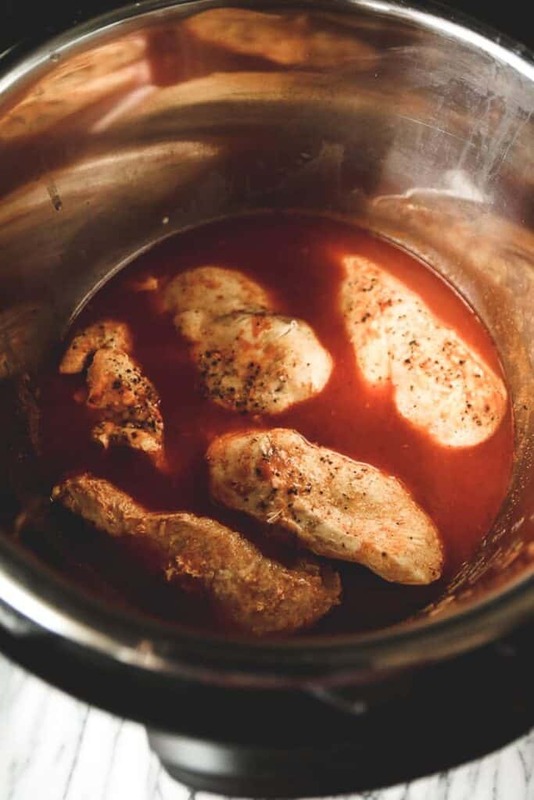 Place chicken back into the pot with the sauce and set aside. Slice the romaine lettuce, green onions, celery, and avocado (optional). Shave the carrots with a vegetable peeler. Set aside along with the tortilla strips and dressing. Assemble all ingredients into a large bowl and enjoy! Just look at that salad. Come to mama!! Speaking of salads… this BBQ Chicken Salad is also the amazing! Did you enjoy this recipe? Please consider leaving a comment & star-rating below. Click the social share buttons below to share this recipe to Facebook or Pinterest! If you make a recipe, tag me on Instagram: @wheatbythewayside and use #wheatbythewayside. Happy Cooking! Looks delicious. And good for you. Can’t wait to try it.